Some off the steam traction engines at the NYSEA's annual Pageant of Steam. 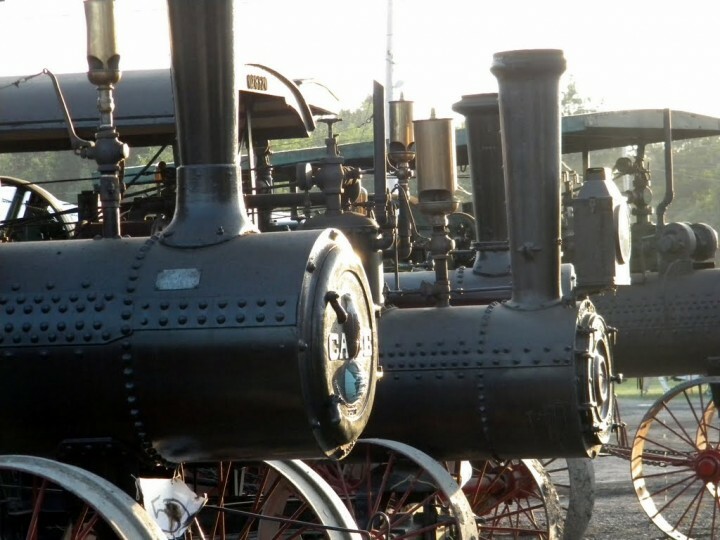 Last August I attended the New York Steam Engine Association’s Pageant of Steam. 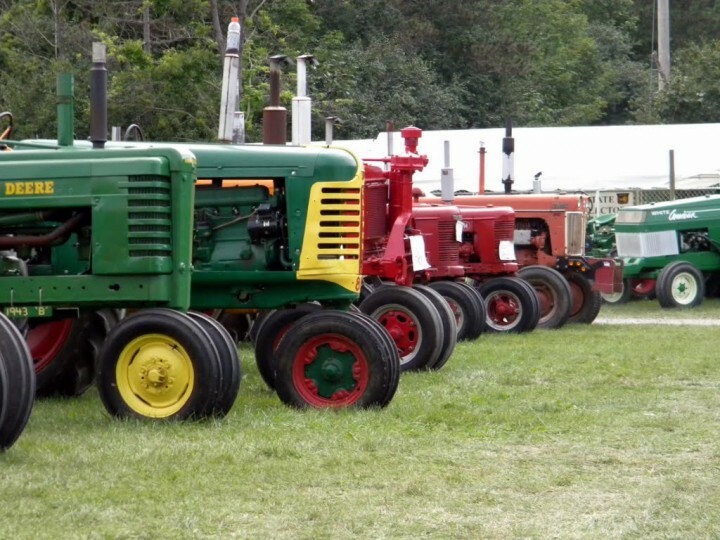 Their annual show is a huge four-day event held on 100 acres in Canandaigua NY, which is in the western part of the state, about 35 miles south of Rochester. This post shows just a handful of the pictures I took. Please visit this link if you would like to see more. I’ve known about the pageant for awhile and I live only a short distance away. But I never went to it because I’m not particularly interested in steam power. Now I’m kicking myself for not going sooner. 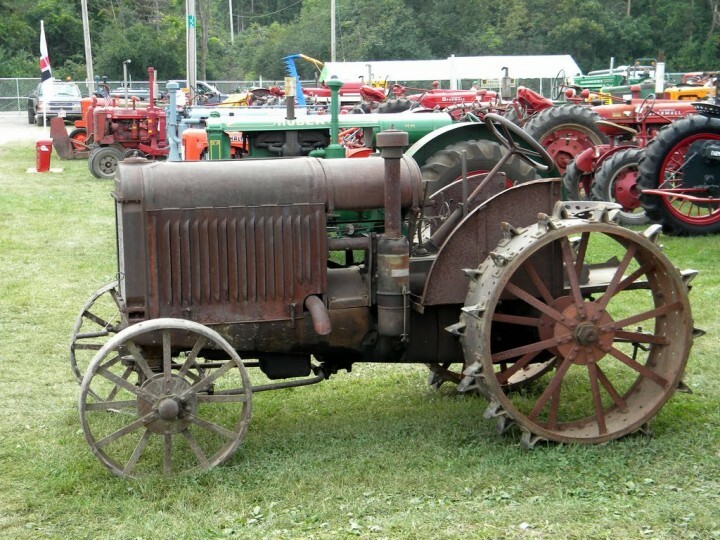 In addition to the steam powered tractors and engines, there were hundreds of antique farm tractors, all kinds of old internal combustion engines, a tractor pull, live music, good food and a huge craft and flea market. I very much enjoyed myself and was fascinated by many of the things I saw. Now I can’t wait to go to this year’s show and bring my family. There are many demonstrations. You can see plowing, grain threshing, shingle making, a saw mill cutting lumber, bulldozers pushing dirt, power shovels digging and much more. There were hundreds of antique farm tractors. Here are some of the newer ones. And here's a much older one. 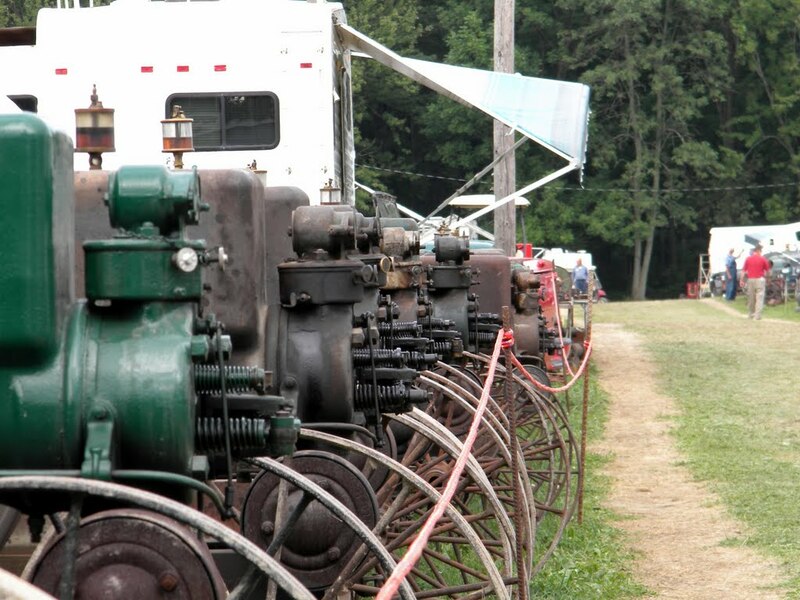 There were hundreds of old engines of all kinds on display. Here's a row of "hit & miss" engines. There's camping and many campsites have something to show. 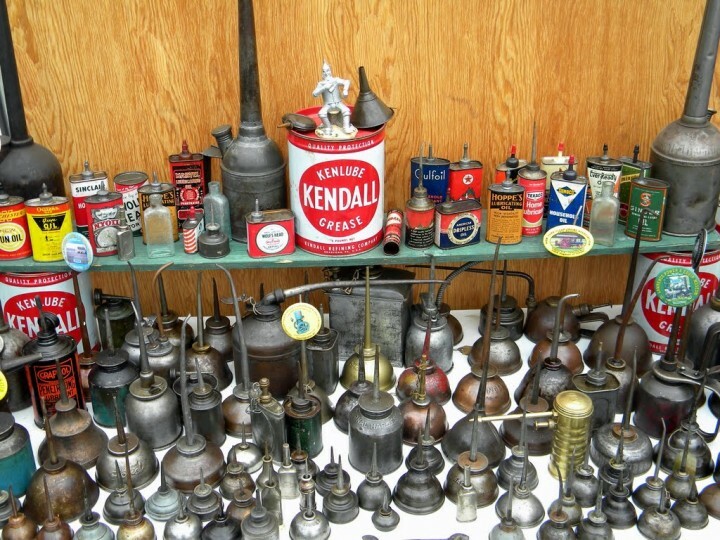 Here is someone's oil can collection. 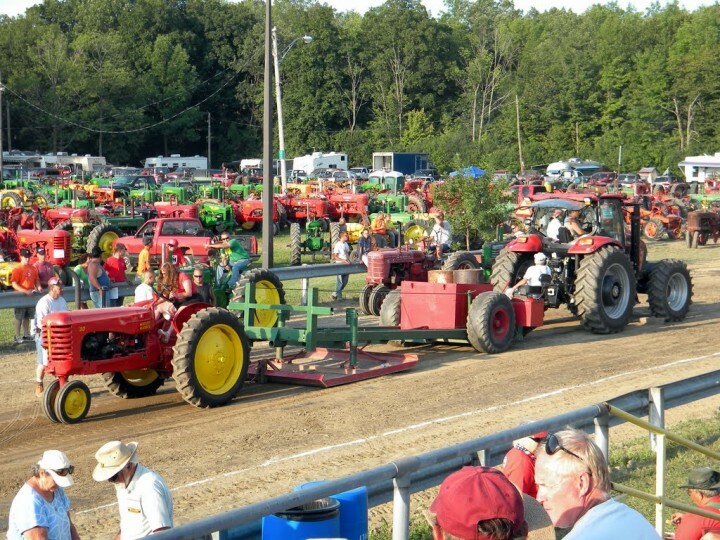 This was the first tractor pull I'd ever seen. The smaller tractor on the left is about to start pulling a sled with large weight that will move up an incline, causing it to become increasingly harder to pull. The tractor will keep pulling until it can't move it any more. Then the distance is measured. The bigger tractor on the right will then pull the sled back to the starting point. Another tractor that's not shown will smooth the track for the next competitor. 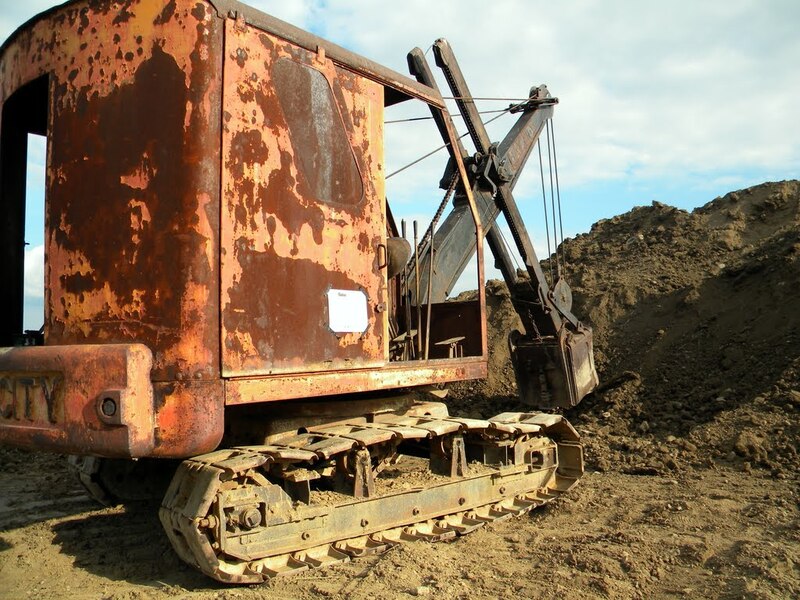 You could see this 1946 Bay City Shovel and other construction equipment digging in the dirt. Hey Rob! I was at the show last summer as well! My first time too. I took some pictures and videos, which you can find here: http://www.flickr.com/photos/bert_m_b/sets/72157626112499178/detail/ . You’re an excellent photographer Beardicus. I particularly enjoyed your pictures of the night time steam tractor pull and the “Jetsons” tractor. I’ve been thinking that I’d like to restore a tractor someday, probably either a Ford like my grandfather had or a Allis-Chalmers “B”. A coworker was there with a John Deere he’s been working on, which is why I finally made it to the show. What year does the oil cans represent? if you could please get back to Me asap, Thank you! I really don’t know. I would guess that most of them are from the 1920s to late 60s. It’s not “his” show. But I agree that starting mid-week is a bit odd. I live in the area and attend every year if possible. My experience is that the venders are still on site on the week end days of Fri and Sat. That is when they have the most folks attending and thus opportunity to sell. If you have never attended this event you are in for quite a treat. The pix posted give a very good idea of what will be on site in terms of machinery.The daily parade of steam powered tractors and other vintage and antique tractors alone is worth the price of admission However the Flea Market is absolute amazing and covers many acres. It is a toy store for those looking for old parts, vintage tools of all sorts ,your basic junk with hidden jewels burred in the piles, antiques,and the usual ,and unusual assortment of other venders.